The spectroscopy of exoplanets atmospheres is much easier for transiting planets than non-transiting planets. 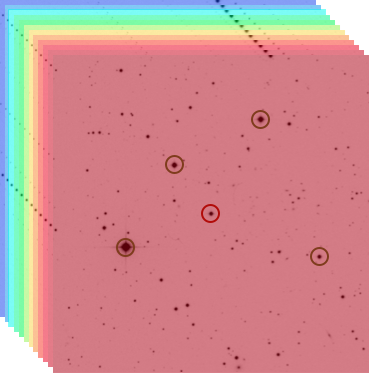 And to detect (or characterise) exoplanets in transit, it's also easier to target brighter and smaller stars. To put all the odds on our side then, we simply chose to search for planets that transit the brightest and smallest stars. 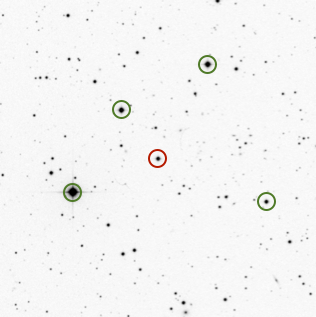 ExTrA will thus target the closest red dwarfs found in the solar neighbourhood. Transit light curves can be recorded from the ground by doing differential photometry: the flux of a given target is recorded together with the flux of other comparison stars that can be observed on the same images. This allows to correct for the small variations due to the changing air column above the telescopes, and to save only the small changes caused by an eclipsing planet occulting the stellar disk. From the ground however, differential photometry is often limited by systematics introduced by imperfect comparison stars, coupled to atmospheric and instrumental systematics. 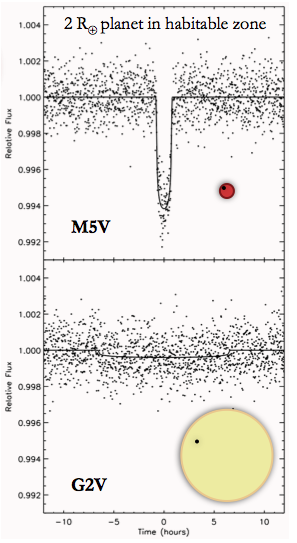 So far, this correlated "red" noise has largely inhibited ground based survey from detecting Earth size planets. In response, we have developed an "ExTrA" method to push down the precision of ground-based photometry, and more efficiently search for exo-Earths orbiting cool stars. The method makes use of a multi-object spectrograph to add the spectroscopic resolution to the traditional differential photometry method. This helps mitigate, resolve and correct color-dependent systematics such as atmospheric variations, instrument and detector errors. ExTrA aims to develop this method with a new facility composed of small telescopes. It will also use a near-infrared spectrograph (R~100, [0.8 -1.6µm]) to boost its efficiency when observing cool stars. 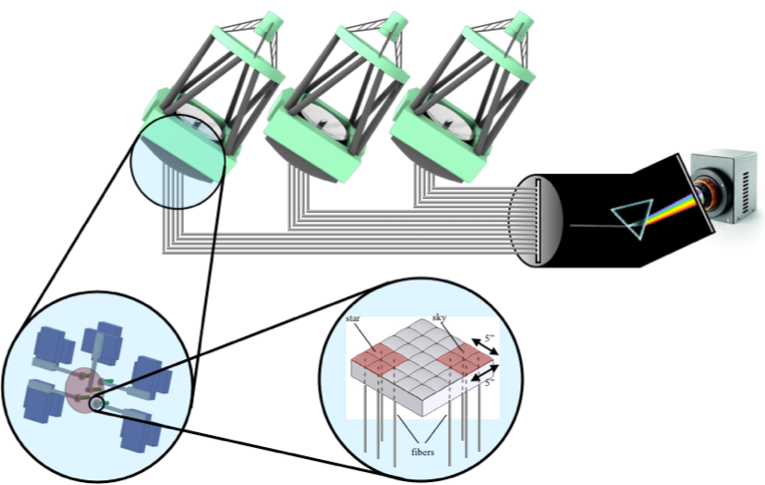 With (cost-)efficiency in mind, ExTrA will also use a single spectrograph for many telescopes, hence developing a multi-object/multi-aperture approach. Concept view of ExTrA : 3 telescopes, each equipped with a multi-object fiber positioner. All fibers feed a single near-infrared spectrograph.